Planning your wedding is one of the most wonderful times of your life. It can also be extremely stressful if you don't pick the right vendors. Let Reply by Design Studio provide you with professional, friendly, hassle-free service as well as affordable, beautiful stationery for your big day. Since opening in 2010, I have worked with more than 2,500 couples to create the perfect stationery for their events. With a 100% positive feedback rating over seven years, you can rest assured that your order will be handled with great care and attention. I recognize how important your wedding day is to you, and I work tirelessly to make sure that I have everything to you timely so that your experience is stress-free and enjoyable. Reply by Design Studio is a one-stop shop for wedding stationery. Here you will find everything from Save the Dates to invitations to thank you cards, and every detail in between. By working with one vendor for all of your stationery, you will save yourself the time and hassle of communicating with multiple people, remembering who you ordered what from and when you should be receiving everything. This website serves two purposes: 1) to provide customers with all the necessary information needed for choosing and ordering their stationery in a clear, concise way; and 2) eye candy! For me, stationery and event design are an obsession. This website serves as an outlet for me to share not only my work but all of my fun ideas, too. Look through the ﻿Inspiration Boards﻿ for help envisioning a color palette, or check out the Blog for the latest trends and a behind-the-scenes look at the RBD process. Ordering your stationery isn't all business, so grab a cup of coffee or a glass of wine and have some fun looking around. ​If you have any questions, feel free to contact me at replybydesign@gmail.com. ​With hundreds of designs to choose from, you're sure to find the invitation that's perfect for your big day! 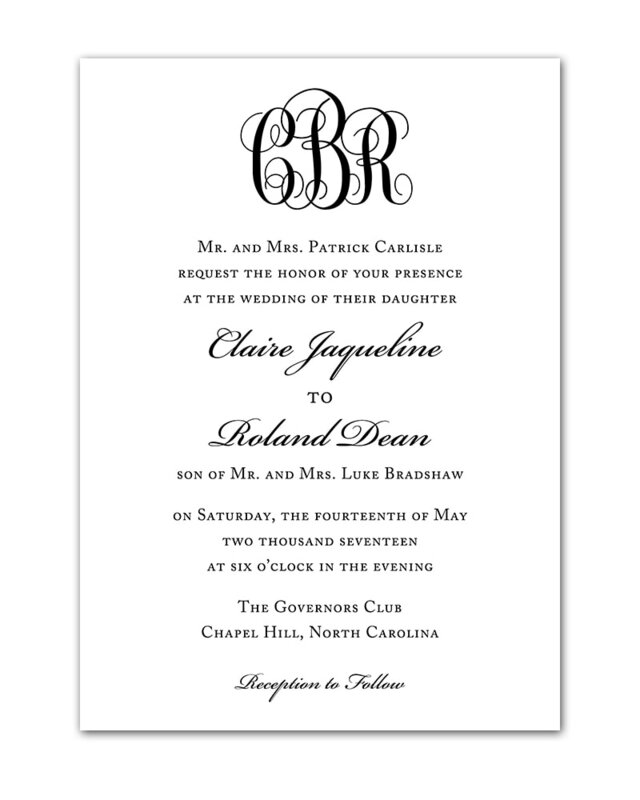 Keep in mind that, unless otherwise stated in the Etsy listing, invitations can be adjusted for color, font, and pattern to create the perfect piece for your event. Kathryn was so helpful in helping me and my fiancé design the perfect save-the-date for our city-rustic wedding. I asked for many changes and she patiently adjusted the design to our liking. I'm so pleased with the finished design. Also, Kathryn responded very quickly and quickly returned the many changes. Thanks Kathryn!! Excellent customer service!!! Great communication!!! We absolutely loved our invitations, and she is to thank for that 100%!!! ​I am a wedding planner, and I frequently need fast and reliable design shops to create seating charts and other custom design items for my clients. Kathryn with Reply by Design has been exceptional to work with. She is fast to get drafts to me, creative, and professional. I would recommend her work to anyone looking for a creative design and an easy process. These invites, RSVPs, and details cards were exactly what I was looking for! There was a quick turn around and she made all the changes I asked for in a timely manner. Would use again, for sure! This wedding seating chart turned out beautifully!! Kathryn was very helpful making edits until my daughter and I were satisfied with the final product. It was worth it to have all of the work done for us, and all we had to do was take it to a printer to get it printed out. It will look wonderful at my daughter's wedding dinner! Would definitely order from this merchant again!! This seating chart is beautiful!!! She was SO responsive, even when I needed changes just a few days before the wedding! It was beautiful! I would use her again in a heartbeat! A great value! Kathryn was awesome to work with! She was dedicated to ensuring that I was satisfied with her product by providing prompt proofs and revisions to me. Communication through email with Kathryn was great; she always responded within 24 hours to any email I sent her. I am looking forward to working with Kathryn again! I would HIGHLY recommend Reply by Design Studio!!! The seating chart Kathryn designed for me was beautiful and original. She was extremely helpful when it came to my requests and responded promptly to all of my questions. I have to say the seating chart was one of my favorite decorations for my wedding. I'd definitely ask Kathryn to create another custom design for me in the future! Still not convinced? Head over to Etsy to read the over 500 5 Star Reviews!